I have always been an average student throughout my school and college and the only subject where I scored the maximum was English. I have topped my boards and University in this subject and I proudly add – Without any much preparation. It somehow came very naturally to me for reasons I still don’t know. I was a winner in all debates and elocutions too and this continues till date. All this coming from someone who was once stammered (Yes, imagine me!!) is truly a huge thing for me and the entire credit for it goes to my mother who encouraged me to read and speak. She ensured endless books from which I could keep on reading loudly till the time I was adjudged the winner of interschool elocution competition where the topics were not given in advance to us. I have always been a bit critical and skeptical about the Indian publishing scenario. So when I saw this book on Penguin’s page my first reaction was WOW.. Something different! What a concept, hats off to the person who thought about writing something like this. And the perks of being a reviewer are that the author contacted me asking if I would want to read this book. No prizes for guessing my answer! We live in a country where knowledge of English is mandatory whether written or spoken. We also live in a country where that very language is butchered badly every day. The way we merge, twist, mix and then break this language to suit our needs is truly commendable! 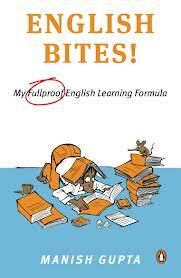 At such times when an Indian Author comes out with a book like this which is a step by step guide on learning English, with correct pronunciation, diction, spellings and of course the right meanings it truly is a boon. All through my growing up years I always wondered why there are some people who are fluent with it and why some are not only to conclude that it is not the people but it is the system. It is the process in which they are taught that it leads to such misuse. In this book the author has shared his own experiences of learning and mastering this language mixed with some excellent tips which make it an easy to read and easier to understand as well. This has to be undoubtedly one of the best books I have come across in the recent times. And I would strongly recommend it to each one who thinks of English language as a quest and wants to conquer it. This is THE key to it! 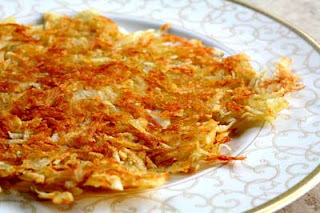 This book is like crispy hash brown - crisp, crunchy, delicious, mouth watering and yes makes you crave for MORE!! Wow... Tarang am sure you will enjoy it! !